Can high-profile sporting events help turn Atlantic City around? $1 billion. That’s billion with a B. And that’s how much money Las Vegas casinos took in throughout the month of May according to reports released late last week. That number is significant because it’s the first time Las Vegas casinos surpassed the $1 billion monthly mark in over a year. The number is impressive, but there was one driving force that punched the numbers to record heights. We’re talking about the Floyd Mayweather vs. Manny Pacquiao fight. 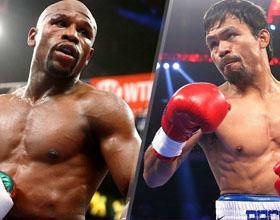 The much anticipated boxing match made Las Vegas a huge attraction in early May. According to reports from various casinos, the tables and slots were overflowing with people on fight night. And not just at the MGM Grand where the fight was held. The casino floors at pretty much every hotel were packed. And casinos responded in kind by raising the limits to let high rollers play the way they want. But the Mayweather vs. Manny Pacquiao fight wasn’t the only catalyst for Sin City’s good fortune in May. That month also saw the official start of the 2015 World Series of Poker, a 6-week long event that sees poker players from all over the world descend on Las Vegas to participate in dozens and dozens of poker tournaments with multi-million dollar prizes. These two events alone helped draw more traffic than usual to Las Vegas, ultimately boosting revenues. To be fair, Las Vegas doesn’t exactly need help drawing traffic. But one gambling town certainly does. On the other side of the country, Atlantic City, once called the Las Vegas of the eastern seaboard, is struggling. In 2014, four of the 12 casinos shut their doors. An estimated 6,000 lost their jobs, including dealers, hotel staff, bartenders, cocktail waitresses, and more. This year, a handful of the casinos are proving to be profitable, so some argue that the market in Atlantic City was just too saturated and a correction was due. But others still see a dim future for Atlantic City unless they evolve beyond casino gambling. Many have argued to make Atlantic City more family friendly so that they don’t need to rely on casino gaming. While that approach might work, perhaps reinventing the wheel isn’t necessarily the answer. Perhaps keeping the tires but adding better gasoline to the tank is a smarter approach. 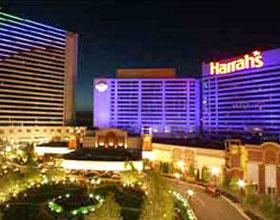 What if Atlantic City decided to bring in more high-profile sporting events? What if the city pledged to earmark millions of dollars for tax incentives that would bring in the type of entertainment gamblers want? Like big-name boxing fights or more major poker tournaments. Or something completely different an unexpected. Atlantic City should look at the $1 billion number and realize that major events could be the hook that reels in the whales. You can get a casino gambling experience anywhere, but if Atlantic City provided something that gamblers can’t get anywhere else, it could be a real game changer. What do you think? Is there a sporting event or something completely different that you think could help turn Atlantic City around? Comment below and let us know.